Brent for March settlement fell 7 cents to $70.45 a barrel on the London-based ICE Futures Europe exchange. U.S. oil is at the strongest level in five months relative to global benchmark Brent crude as a weaker dollar and tumbling stockpiles boost the American marker. Futures in New York were up 0.3 percent while those in London slipped 0.1 percent, with West Texas Intermediate at its smallest discount to Brent since August, Bloomberg said. Read alsoExpert estimates Ukraine's mineral deposits at trillions of dollarsThe divergence is emerging amid concern that WTI's jump – spurred by ten consecutive weekly declines in American stockpiles and a slumping greenback – will encourage higher production. Rigs drilling for crude in the U.S. have risen to the highest since September. "As the dollar falls sharply, demand for commodities including crude is getting a boost," Ahn Yea Ha, an analyst at Kiwoom Securities Co., said by phone in Seoul. "Although oil will remain at this level for a while as weakness in the dollar is likely to continue, expanding American output will eventually limit prices from rising further." Futures in New York closed on Friday at the highest level since December 2014 as the U.S. dollar dropped for a seventh straight week, the longest such stretch of declines since 2010. The greenback's been dragged down amid protectionist rhetoric and conflicting positions on the currency from U.S. President Donald Trump and some of his top officials. That's boosted investor appetite for raw materials priced in the American currency. West Texas Intermediate for March delivery added 22 cents to $66.36 a barrel on the New York Mercantile Exchange at 2:17 p.m. in Tokyo. The U.S. benchmark gained $2.77 last week to close at $66.14. Total volume traded was about 61 percent above the 100-day average. 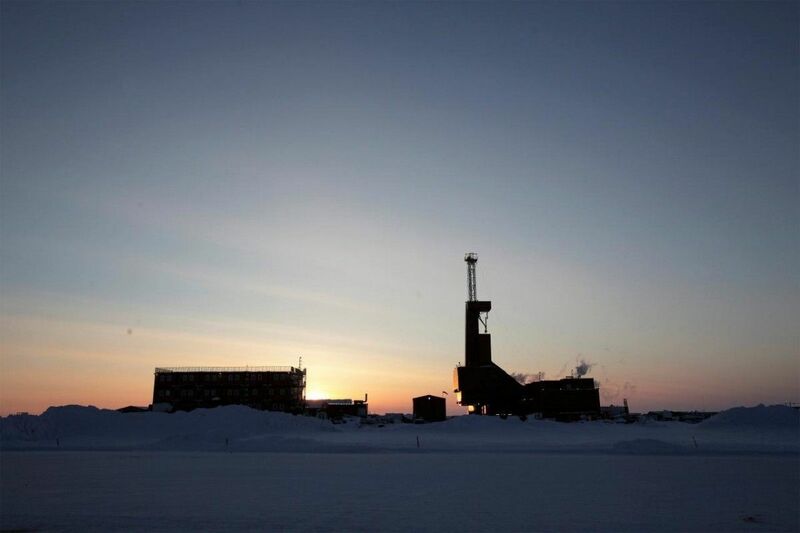 Brent for March settlement fell 7 cents to $70.45 a barrel on the London-based ICE Futures Europe exchange. Prices climbed 2.8 percent last week. The global benchmark crude traded at a premium of $4.09 to WTI. Oil's also been supported as the Organization of Petroleum Exporting Countries and its allies trim output to reduce a global glut. Still, Iran Oil Minister Bijan Namdar Zanganeh said that crude at $60 a barrel is "good," and warned that if it were to go higher, it will encourage production of more expensive supplies such as shale, leading prices to drop again.